Professor Christina Fotopoulou trained in in obstetrics and gynaecology and subspecialized in gynaecological oncology at the Charité University Hospital of Berlin in the surgical and systemic treatment of women with advanced gynaecological malignancies. She is since 2013 a Consultant Gynaecological Oncologist in the Imperial College London Healthcare Trust in Queen Charlottes Hospital in London, and is a principal investigator of the Ovarian Cancer Action Research Centre, UK. 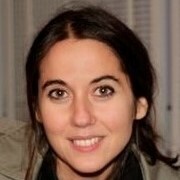 She also holds a chair at the Charite University of Berlin. She has been the Vice Director of the Clinic for Gynecology at the Charité in Berlin, one of the largest reference and accredited centers for gynecological cancer in Europe, as well the Principal Coordinator of the European Competence Center for Ovarian Cancer. Her principal area of expertise lies in exenterative procedures for advanced forms of pelvic malignancies, in the cytoreductive procedures for primary or relapsed ovarian cancer and the investigation of predictive and prognostic biomarkers of surgical and clinical outcome. Her further area of focus is bioengineering and implementation of novel bioengineering methods in cytoreductive surgery for advanced ovarian cancer. She the lead of the guidelines group of the British Gynaecological Cancer Society, member of the QA Committee for Ovarian Cancer surgery of ESGO and member of the German AGO- Ovarian Cancer Steering Group and Guidelines. She is on the editorial board and reviewer of numerous international gynaecological and oncological journals and is a member of various international oncological committees, including BGCS, ASCO, ESGO, IGCS, ESMO, ENGOT, AGO, SGO and NOGGO. Dr Umesh Mahantshetty is working as Professor and Senior Consultant Oncologist at Tata Memorial Centre, Mumbai India- one of the largest comprehensive cancer center in Asia. After completion of MD and Senior Residency at Tata Memorial Hospital, has completed fellowships in brachytherapy and newer imaging at Erasmus Medical Centre, Rotterdam NL and MD Anderson Cancer Center, Houston, USA. 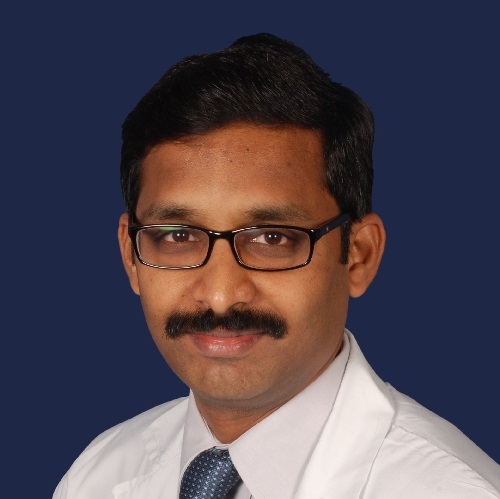 Dr. Mahantshetty is specialized and highly recognized in the field of GYN Oncology and is one of the key opinion recognized leader globally in the field of GYN Oncology including high precision radiation techniques and Image Based Brachytherapy. His numerous achievements include Expert for establishing guidelines at national (ICMR Guidelines for Cervical Cancer) and international (ESGO / ESTRO guidelines for vulvar and cervical cancer management) bodies, a consultant to the recent ICRU 89 Report on GYN Brachytherapy and Senior Editor of various prestigious International and National Journals. At present leading the GYN Radiation Oncology group at Tata Memorial Hospital, he is involved numerous projects and research protocols which have high impact on both the developing and developed world. He has also been instrumental in building up the Indian Brachytherapy Society (IBS) in the capacity of Secretary since 2013 and part of Executive Committees of Association of Radiation Oncologists of India (AROI) and GYN Oncologists of India (AGOI) since many years. In summary, Dr Mahantshetty is an Internationally acclaimed Oncologist, well known in Radiation Oncology Community for his contribution in GYN Oncology and a responsible, dedicated, and a well known leader in GYN Oncology. To promote scientifically driven and practice-changing trials, Dr. Kohn reviews, coordinates, and oversees development and execution of phase 2-3 trials in gynecologic cancers and gastrointestinal neuroendocrine cancers. She also provides disease expertise for early phase trials in these cancers. 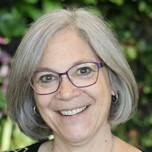 Dr. Kohn also applies her expertise to the oversight and guidance of the NCTN Core Correlative Science Committee (CCSC). The CCSC reviews proposals for correlative science to be applied to remaining biospecimens from NCTN clinical trials after protocol-specified integrated endpoints are completed. Dr. Kohn trained at the University of Michigan and received Medical Oncology training at the National Cancer Institute (NCI). Dr. Kohn spent over 2 decades overseeing a laboratory and clinical program in the NCI intramural program focused on signal transduction molecular targets in invasion, metastasis, and angiogenesis, and proteomic applications, applied towards ovarian cancer. Her clinical program focused on application of novel agents and translational opportunities to women's cancers, especially ovarian cancer, via phase 1 and 2 studies. She is now Head, Gynecologic Cancer Therapeutics in the NCI Cancer Therapy Evaluation Program, where she coordinates development and execution of the advanced phase 2 and the phase 3 gynecologic cancer clinical trials portfolio. Dr. Kohn also oversees and guides studies in gastroesophagopancreatic neuroendocrine cancers. Dr. Kohn serves on education committees for the Society of Gynecologic Oncology and ASCO, and has completed a tour on the integration panel of the Department of Defense Ovarian Cancer Research Program, on which she also served 2 years as panel chair. She is a recently retired career officer in the US Public Health Service. Dr. Kohn has received the Ovarian Cancer National Alliance's Rosalind Franklin Excellence in Ovarian Cancer Research Award, NIH Director's Merit Awards, and Diversity, and Mentoring Awards. Dr. Kohn was elected a Fellow of the American Association for the Advancement of Science in 2002.